In my development environments, I never install Node.j using apt-get but use nvm instead to be able to use multiple Node.js versions in parallel. 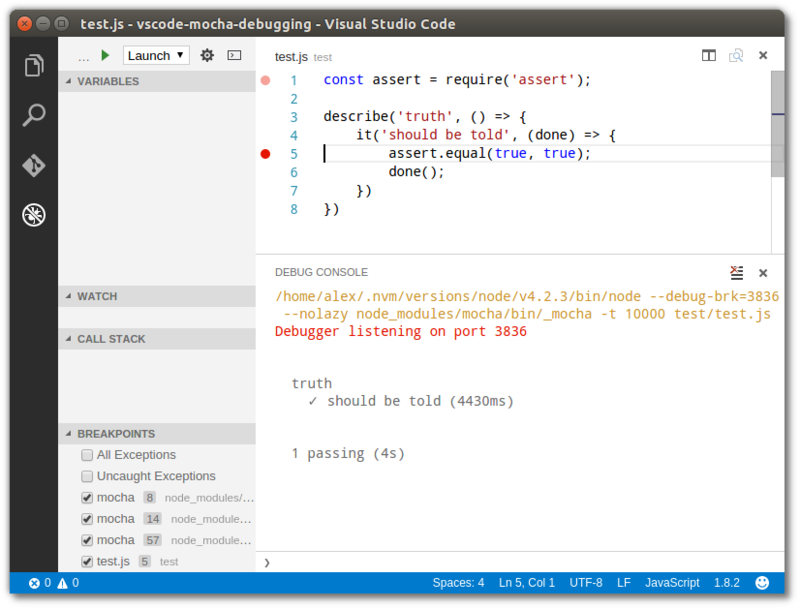 The important part is the runtimeExecutable which points Visual Studio Code to the Node.js version I've installed using nvm. 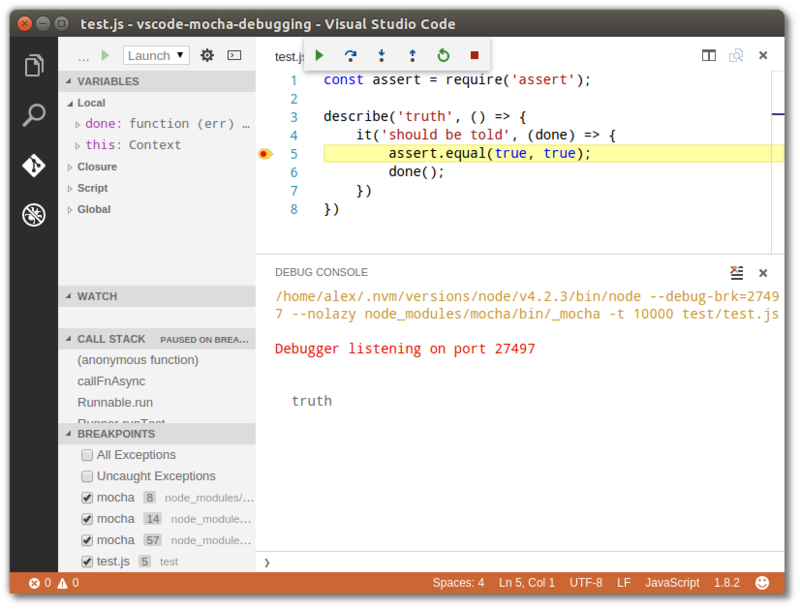 Also make sure to change the args to change the mocha timeout in order to avoid timeout errors in the debug console.